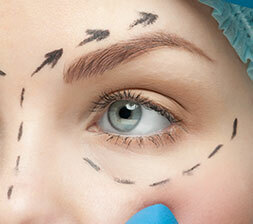 There are many elements to aesthetic eyelid surgery, and very many different treatment options. It is most important to have a clear idea of what you would like to achieve and to find someone who can discuss the options with you. Infection of the wound. This is minimised with sterile technique and by using antibiotic ointment to the stitches and antibiotic tablets. Wound infection can be minor but can lead to a worse scar. Large bruise or haematoma. This is minimised by taking it easy for 2 weeks after surgery, stopping aspirin and other anticoagulants if safe so to do, and regular use of ice packs. A haematoma may mean you have to go back into theatre to have the blood clot evacuated and then be re-sutured with the risk of a worse scar. Visible scar. The cuts to the skin should fade to a thin white line. Not every scar heals equally well. A thickened or reddened scar can be improved with silicone scar remodelling gel, but the treatment needs to be continues for months to have a good result. Dry eye. 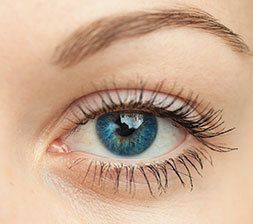 The surgery can cause inflammation to the eyelids that affects the oil producing glands in the eyelids. This can lead to a dry eye or can make a pre-existing dry eye worse. You may need to use additional lubricant drops for weeks to months post-op if affected. Theoretical risk to vision. 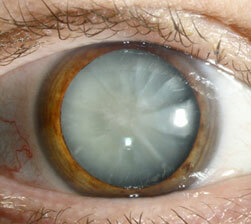 Any eyelid surgery carries the risk that an undiagnosed infection or bleed could damage the optic nerve. This is so rare that in comparison a normal car journey is a much greater risk to your vision.